I know, you don’t want to hear it yet; but it WILL be Father’s Day in a minute, I promise you, and if you are anything like me finding a Father’s Day gift isn’t an easy task. 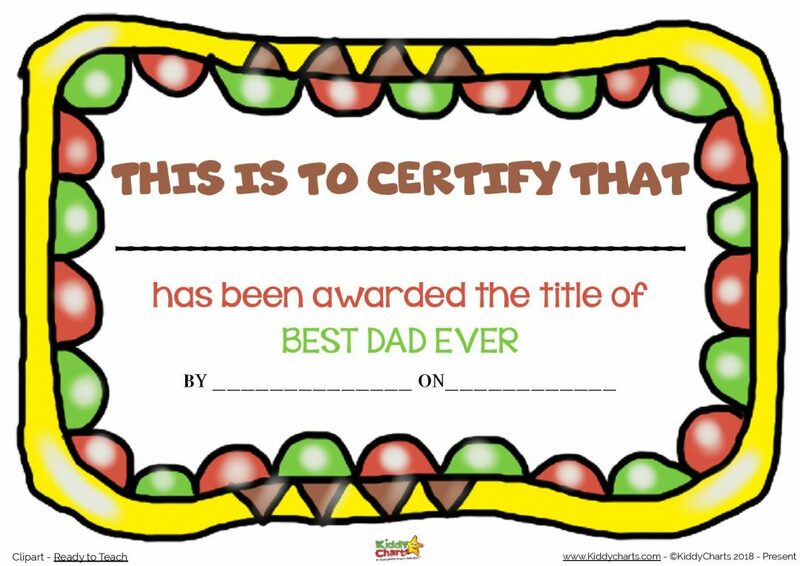 So we are going to make it simple for you; here are some Fathers Day certificates for you. Get the kids to fill them out, frame them, and done…problem well and truly solved! 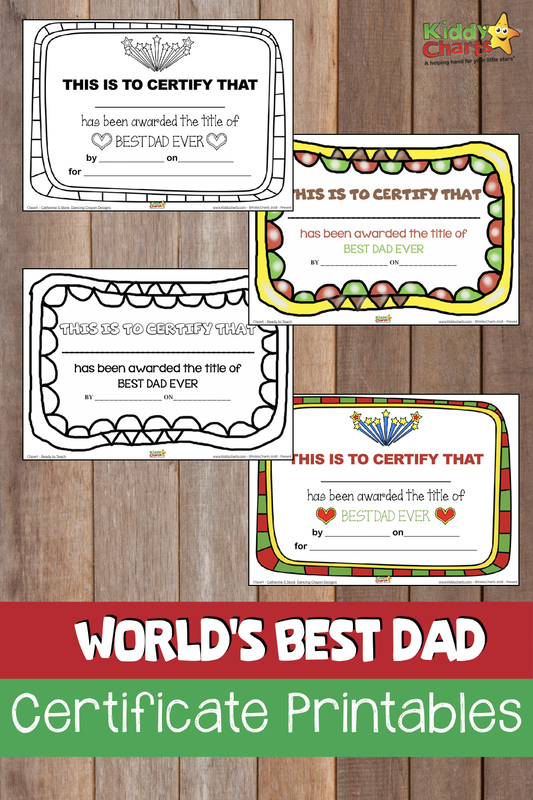 Even better though these are best dad in the world Fathers Day certificates, so you aren’t just giving them a home-made gift, but you are making them feel extra special at the same time too! We have made it easier for you to as the certificates can either be printed in colour, or black and white; so you can get your kids to colour them in. However, if you are like me and looking at this article the day before Fathers Day (! ), then you can just print out the colour version of the Fathers Day certificate, steal a frame from one of your other pictures, and slip it in after the kids have completed it. 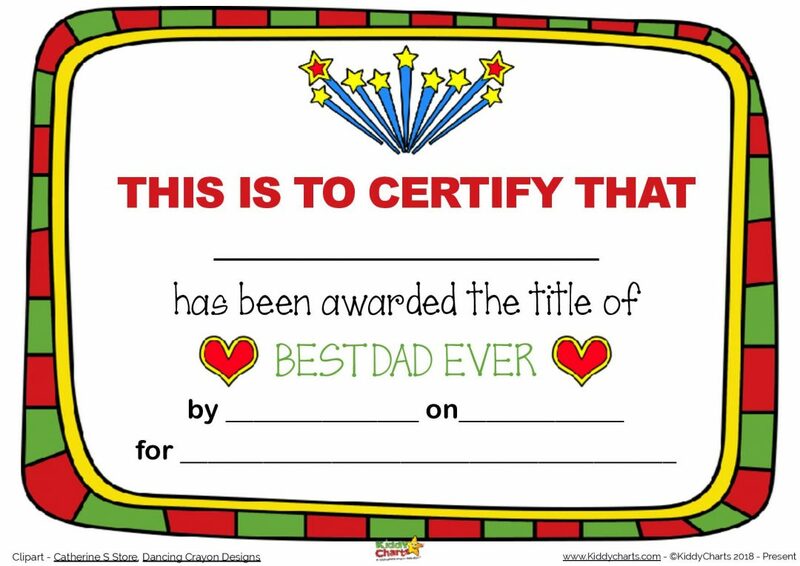 We do have two versions of the certificate alongside this for you too…one with what Dad has been awarded the certificate for, so perhaps always taking you to football, or being the best at baking, etc. In case you don’t want to include this, there is also one without too. If you want to download these, then just click on the image below for all four sheets, and you can choose which one is best for you. 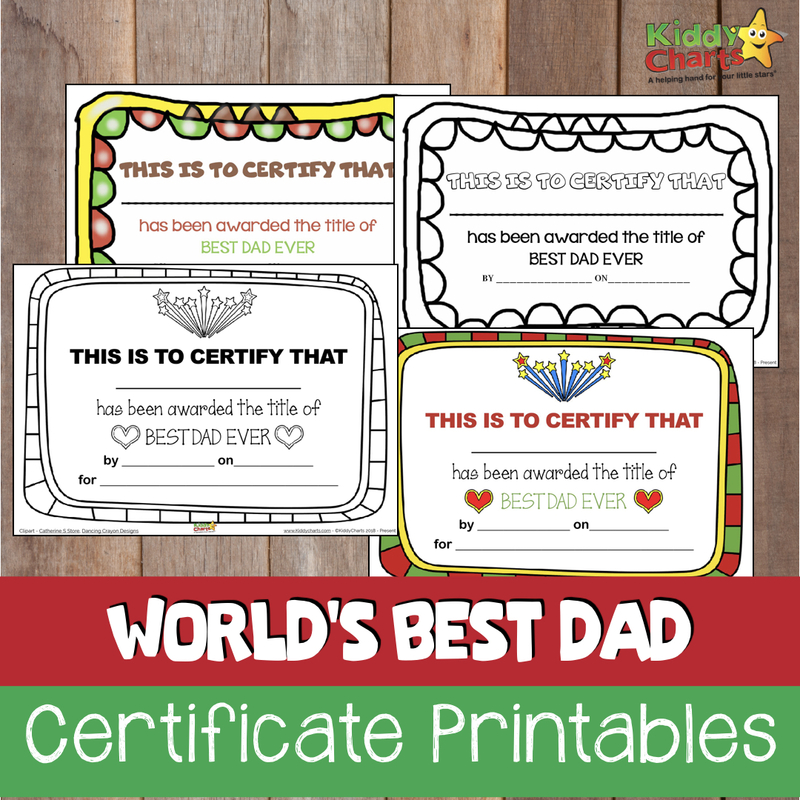 As always, we have a few Fathers Day resources on the site for you, so why not check some of these out too, they might compliment these certificates rather well don’t you think? Some gorgeous Fathers Day printables too. Dad you’re the coolest Fathers Day card from Homeschool Preschool. You can unsubscribe any time you would like to of course. Thanks so much for reading our articles as always, and see you very soon for the next one.